The OSD Audio AP850 Outdoor Patio Speakers Pair includes two ultra-modern, powerful speakers at an incredible price. Featuring 8-inch polypropylene woofers and Supernil soft dome tweeters, they're capable of producing crisp, clear and dynamic sound. With gold-plated binding posts, solid brass and stainless steel hardware, the AP850 set might be exactly what you need for your deck, patio or other outdoor space. They're available in black and white so you can create seamless coordination. True Audiophile Sound! Guaranteed to sound better than much pricier brands, the AP850 patio speaker provides clear, dynamic sound with rich bass for Large open areas. Silk dome tweeters and molded woofers were chosen with the tweeters immune to the weather while delivering smooth ï¿½indoorï¿½ quality sound. Large weather-resistant ports add efficiency and additional 3dB of bass output. 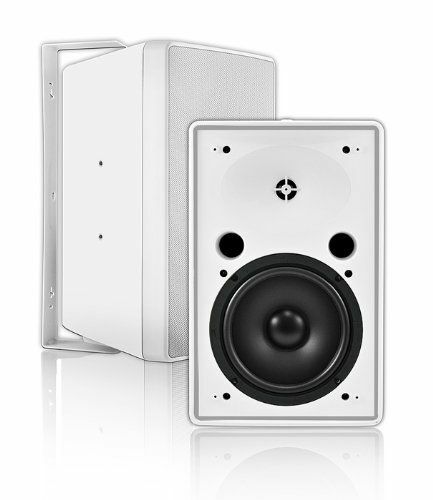 These patio speakers are ideal for large size patios or outdoor areas (500 to 800 sq. 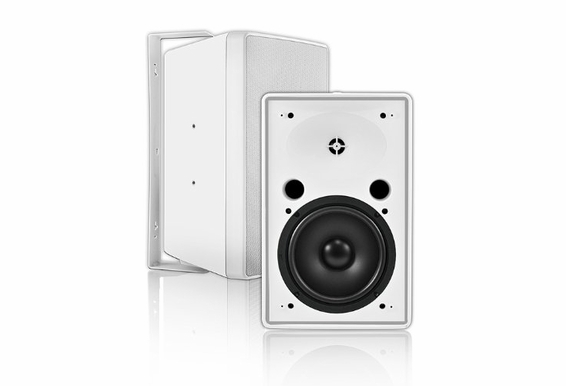 ft.), and youï¿½ll hear the build quality for which OSD speakers are famous.